If you've tried every cleaner on the shelf and haven't had any luck removing this resin, the experts have advice for you. That tree sap you can’t seem to get out of your jeans is a sticky mess for a reason. 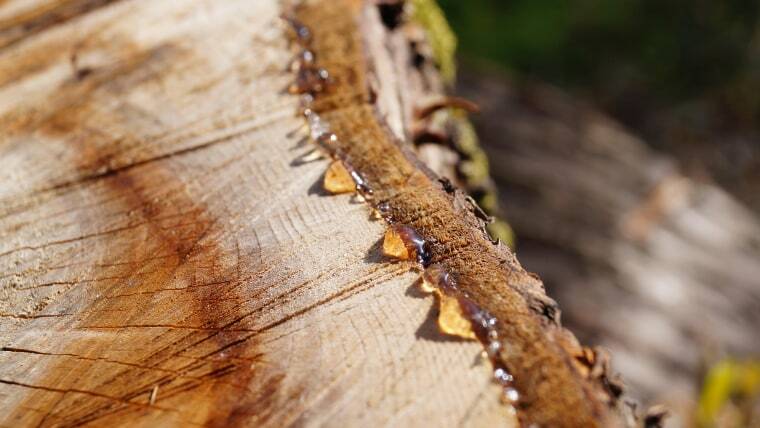 Trees produce this natural resin to seal up any cuts or damage done to the bark. If you’ve tried every cleaner out there and haven’t had any luck removing sap, it’s because you haven't heard the right advice yet. Read on to find out how experts remove this sticky goo. Check the garment care label first. If it’s washable, sponge dry cleaning fluid on the sap and let it dry. Make sure you’re in a well-ventilated area and not near any flame when you use cleaning fluid because it’s highly flammable. Once the area is dry, soak the stain in a mixture of laundry detergent and just a few drops of ammonia. Allow it to work on the stain for 30 minutes, then launder in liquid detergent. Remember: Don’t bleach the garment, since bleach and ammonia produce poisonous fumes. If the stain remains, or if the garment is not washable, bring it to a professional cleaner. Jack White, vice-president of technical services for Rainbow International restoration service, recommends using dry cleaning solvent to remove pine sap from upholstery and carpet. Then, if the stain remains, consult a professional cleaner.